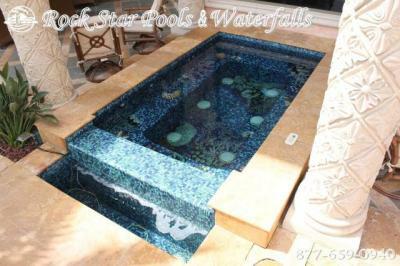 Rock Star Pools and Waterfalls is ready to deliver your relaxing, enjoyable, and theraputic spa experience. 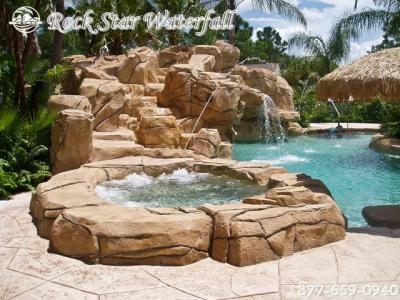 Rock Star's design team has been perfecting many distinctive designs over the last 15 years, never limiting ourselves to standard square and circular spa shapes. Our cutting edge ideas regularly challenge the imagination and include a wide range of unique shapes, sizes, textures, heights and color schemes. No spa will look exactly like yours. Each is created with your preferences in mind, uniquely tailored just for you. 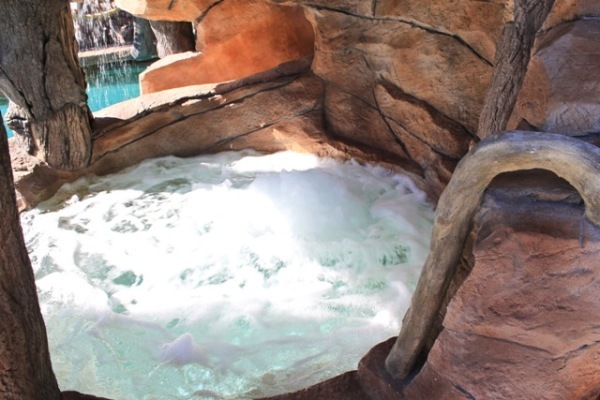 Whether entertaining, relaxation or rejuvenation, a spa is one of the most important aspects of a pool and will most likely be used more than anything else in your backyard. Your design can be as simple or as elaborate as you’d like with many specialty features to choose from. 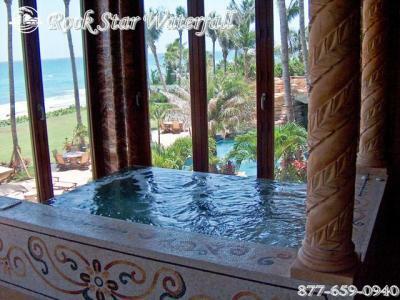 We can incorporate blowers, multiple pumps, variable speeds, and special effect lighting to add to your spa experience. 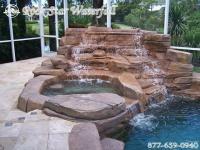 You can control your spa, and even your entire backyard with a one touch computer system. We work together with each client using the leading components, latest technology and most unique ideas to bring you the efficient and reliable spa you’ve always wanted. Among our range of expertise is the therapeutic stand-up spa. 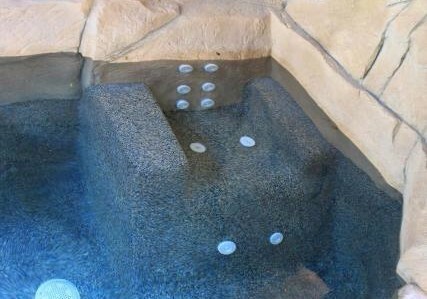 Imagine anywhere from four to twelve jets delivering warm therapeutic hydrotherapy, surrounding and massaging your entire body. Enjoy a deep, relaxing massage time and time again while reducing your aches and pains and relaxing muscles and joints.